Patrick Reed is making his first start since his controversial Ryder Cup comments at this week's WGC-HSBC Champions in China, and on Friday he made his first public comments regarding the fallout from Paris. 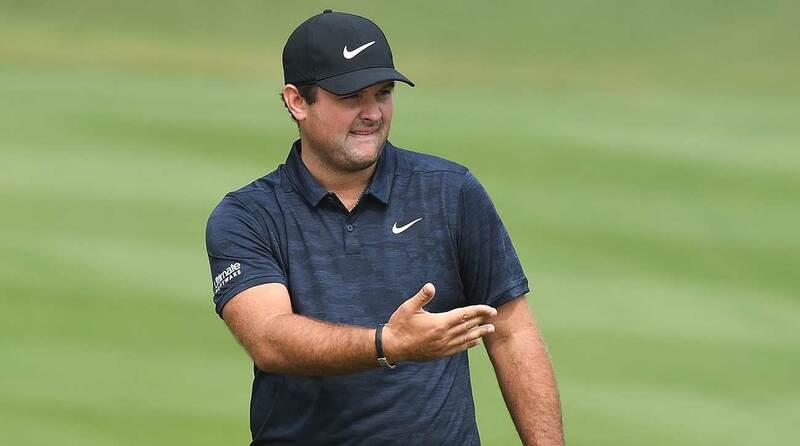 After his even-par 72 on Friday, which puts Reed in a three-way tie for second and three strokes behind 36-hole leader Tony Finau (11 under), Reed was asked if, due to how the Ryder Cup ended, he came to this tournament with a goal of making a point. "No, not really," said Reed, brushing the topic aside. "Ryder Cup was three, almost four weeks ago. Right now I'm just trying to play great golf and finish off the year right, because even though the PGA Tour season has now started, for the European Tour, it's still going on. I'm a little bit behind Francesco [Molinari] in that and I'm hoping to close that gap and have a chance to hopefully win The Race to Dubai." Reed was also asked who his ideal partner would be for the next team event, the 2019 Presidents Cup. Patrick Reed watches a shot during the WGC-HSBC Champions. "I don't know," Reed said. "I don't even know where I stand on the whole points list or anything like that. Right now I'm just kind of focusing on this week and trying to get through the season." The fact that Reed said "I don't know" is telling, simply because he and Spieth are 4-0-1 together in the Presidents Cup. They played one match together in 2015, which they won, and were paired for all four matches in 2017, finishing 3-0-1. They had a stellar Ryder Cup record as well (4-1-2), but the dynamite pairing was split up in Paris. Spieth was paired with Justin Thomas and finished 3-1, while Reed was 0-2 playing with Tiger Woods. Reed also sat out a session each day. “The issue’s obviously with Jordan not wanting to play with me,” Reed told Karen Crouse of The New York Times on Sunday night of the Ryder Cup, following the Americans' 17.5-10.5 loss. Reed also said he had no say when it came to pairings, that it wasn't smart to bench him twice and that he was blindsided by the split with Spieth. Yet captain Jim Furyk told Golf Channel's Tim Rosaforte that Reed, Spieth, Thomas and Woods knew of the pairings weeks in advance. Thomas, days later, reiterated Furyk's statement.